Ben Raised $24,639 for his bike gadget idea! Svetlana & her sisters raised over $50,000 dollars on Kickstarter.com for her new kitchen accessory idea! Scott raised over $100,000 dollars with his first ever crowdfunding project to take his struggling sports apparel brand to the next level. Bob raised over $15,000 dollars to turn his mobile app idea into a profitable business venture! 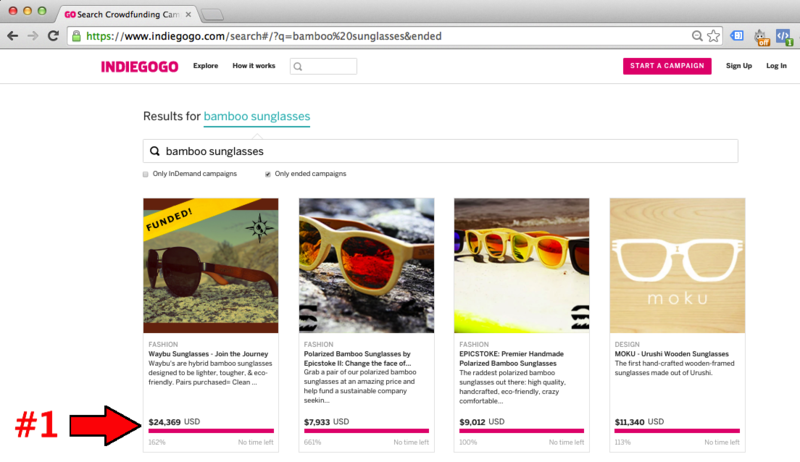 My First Crowdfunding Project Raised $24,639 & Is Still The #1 Most Funded Bamboo Sunglasses Campaign In Indiegogo History!